Angels includes piano instrumental arrangements of traditional and contemporary Christmas selections that are emotionally charged, capturing the awe-inspiring wonder of the season. The Heart Of Christmas will open your heart to the spirit of the season. 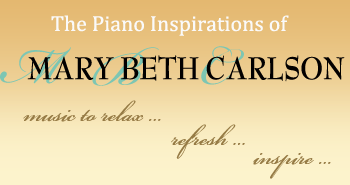 Celebrate with Mary Beth's captivating piano orchestral arrangements of holiday favorites. The Miracle of Christmas ... Emmanuel includes exquisite, brand new piano orchestral arrangements by Mary Beth Carlson featuring an outstanding ensemble of world class string, guitar, percussion, bass, and woodwind artists. Celebrate the season with Mary Beth's collection of heartwarming holiday favorites!